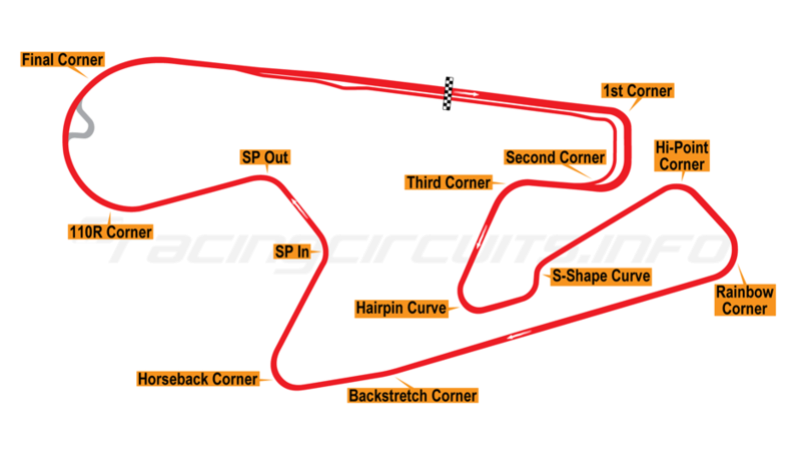 Post here to sign into Round 9 of the DSRL 200k Sportscar Championship at Sportsland Sugo. The race will be held this Sunday (February 25th) at 3pmEST/ 8pmGMT. Also, just to add, the new patch is out. Thanks for offering to host again Dave. And thanks for the heads up....12gb....DAMN! I skimmed the patch notes and the LMP2 got 50hp added, I'll finally be able to pass a corvette on a straight! Lobby states custom date 17 June but Season says Spring. My game forces that date to run as Summer, so if I'm hosting, we'll go with that. Sorry guys I'm going to have to pull out of this one, been a terrible day in work my head just isn't in the right place, best of luck! I’ll set up a Practice lobby at 19:00 GMT or shortly after for those who want it. Join my party for an invite. Delinquent had a big one through 110R/Final corner and lost both front wheels, forcing a retirement as he was unable to continue. Michael had a race-ruining bug, which lead to an AI driver taking over his car. 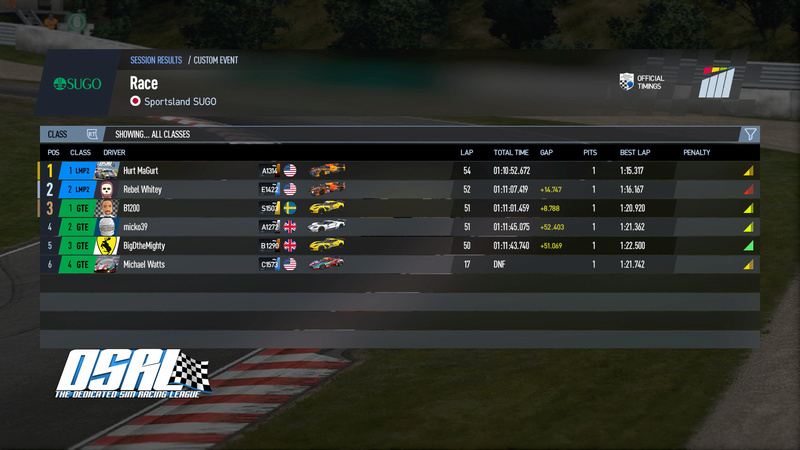 After the AI crawled around the circuit at about 70mph, he managed to recall the driver to the pits, where it didn't slow down for the pit lane speed limit promptly earning a DQ from the game. Slightly unfair in the least. Apart from that, the lobby was actually pretty stable connection-wise and we were wrapped up before 22:00 GMT. thanks for getting that Dave!